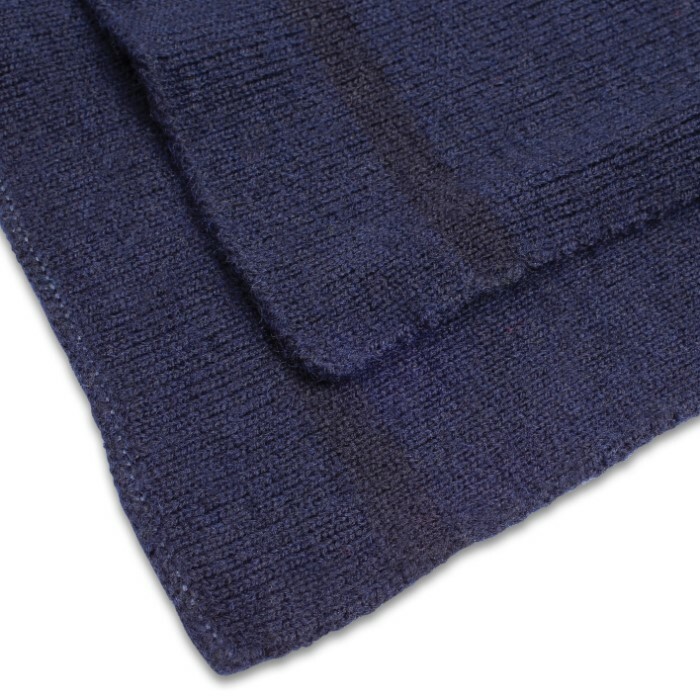 German Military Issue Navy Blue Wool Scarf - Used Like New, High-Quality 100 Percent Wool Construction - Dimensions 12”x 44” | BUDK.com - Knives & Swords At The Lowest Prices! 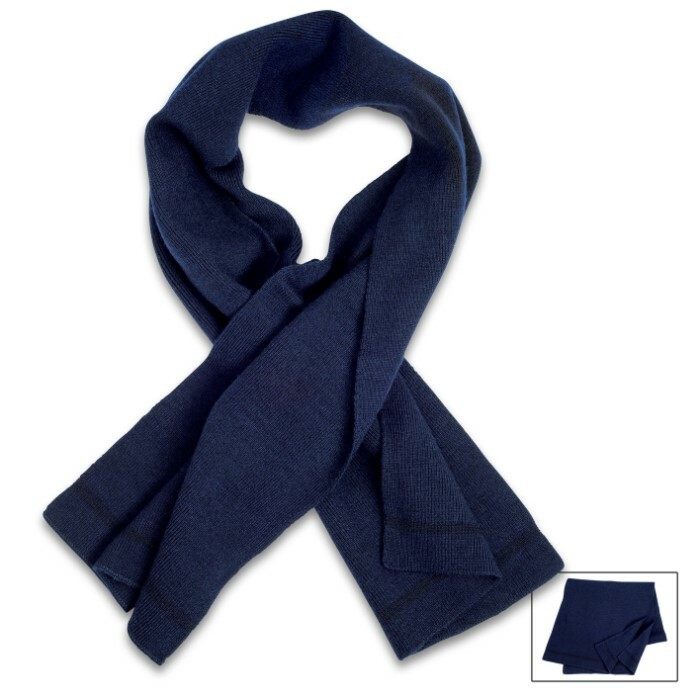 Wrap yourself in warmth with our German Military Issue Navy Blue Wool Scarf and face freezing weather head on with confidence! There’s nothing like 100 percent wool to keep you warm and cozy in the coldest of environments. This like new wool scarf was issued to German soldiers who faced the below zero temperatures in battle, so you know this scarf is up to any outdoors winter adventure you take on! The vintage military scarf is a nice 12”x 44” in size.